We’ve all had one of those days where everything has gone wrong. 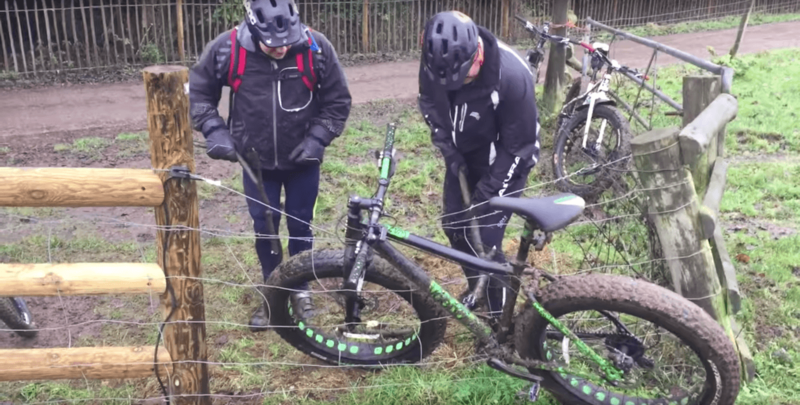 The car wouldn’t start, you broke your favourite mug, dinner got burnt… but how many of us have had their bike stuck in an electric fence? 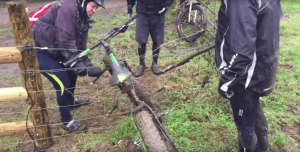 A day out in the countryside for these cyclist led to an unusual scenario in which one of them gets their bike caught on an electric fence. Unfortunately there’s no “life hacks” or “DIY” guides on the Internet that can help these poor souls out of this one! Here, they’ve given us their own little tutorial that involves a couple of sticks, several minor shocks and a few f-bombs here and there! Thankfully, they manage to free the bike with little injury! Share this with a friend who’s having a hard day!